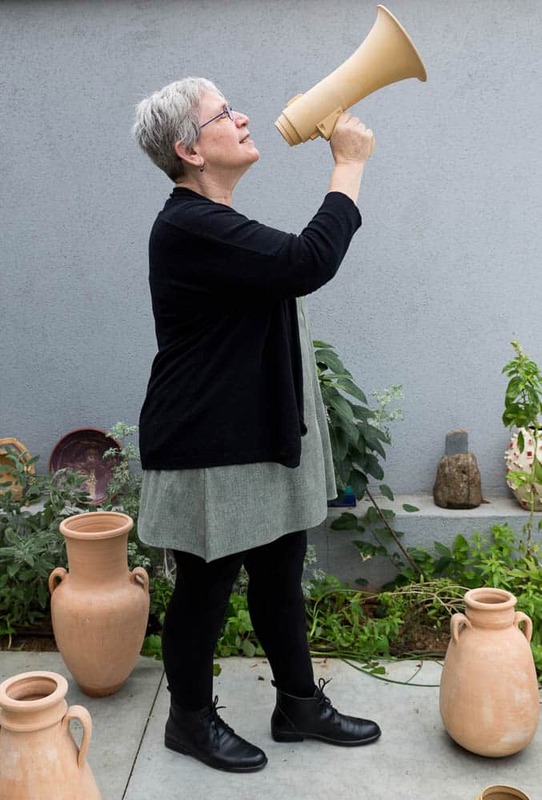 Our February laurel goes to Israeli artist Shlomit Bauman for her collaboration with Palestinian potter, Abed ElJaabari. Their combination of traditional pots and cast modern goods is a compelling use of clay as a common language. Local ceramic material is generally considered to be coarse and unreliable material, the result of which is often unpredictable. It is not free from dirt and is not plastic. The local Israeli ceramic material is not popular among local ceramic artists. Therefore, because of its cheap cost, it is used mainly in non-professional circles. Clay S5 was produced from a mine that was located in the northern Negev, and was used for the preparation of local ceramic materials and was a significant component of the rubber and the pharmaceutical industries. This clay mining was halted due to its depletion and the mine was closed. In order to create a series of local works and in connection with the concept that local raw materials are loaded with local meaning, Bauman began to work with clay material originating in the northern Negev (composed of S5 clay). The fact that this local material has run out due to over-mining and the use of different industries is the essence of the exhibition that marks the point of no return of a changing reality and the depletion of natural, cultural and personal resources. 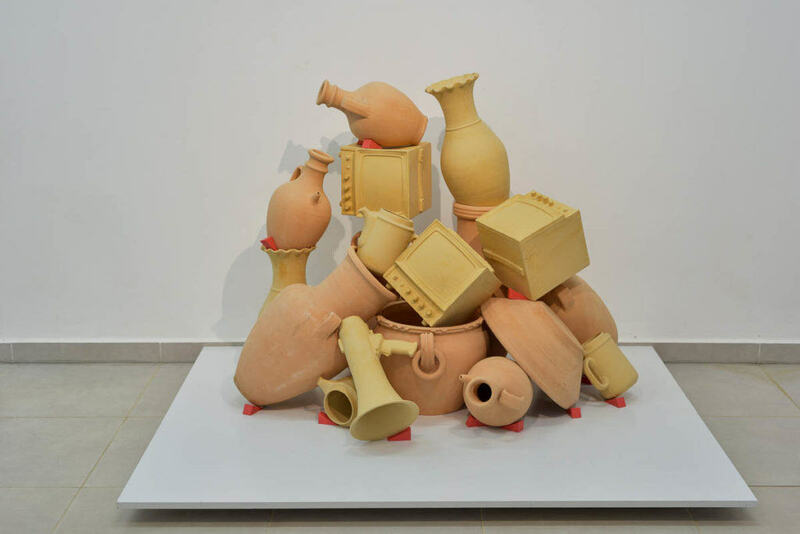 Through experimentation, Bauman creates cultural encounters with objects and concepts that turn into meaningful carriers such as original moulds from a Lapid factory, Palestinian jugs, various raw materials, megaphone, an old monitor of security rooms (a director’s monitor) and more. These, together with industrial and traditional methods (mould casting and pottery), serve as the subject of research in the laboratory for the study of the concept of “localization” and its inherent illusion. 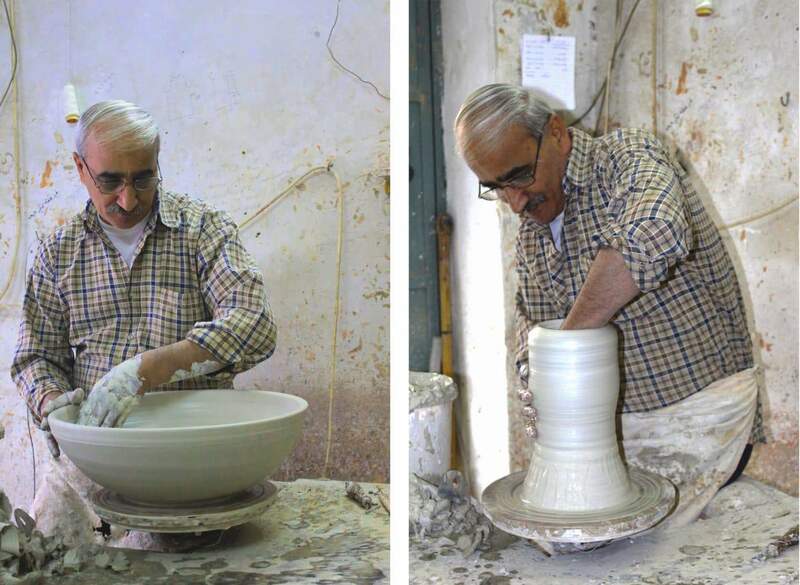 One of the works in this S5 exhibition is a result of collaboration between Bauman—an Israeli Ceramic artist and Abed ElJaabari—a Palestinian potter from Hebron (Elhalil). In the work Bauman and ElJaabari put together a stack of objects that represent their identity. The exhibition S5 is a follow-up to the exhibition Ran Out which dealt with the encounter between the depleted S5 material and Porcelain – the most delicate and noble ceramic material. Ran Out was shown in 2013 at the Periscope Gallery in Tel Aviv, and later at the Negev Museum in Be’er Sheva. The exhibition also received international exposure and some objects from the whole body of work were exhibited in Taiwan, Korea, the United States and Germany.